Home › Humor › Trump This! I blame it on Donald Trump. There could be no other explanation as to why I haven’t written anything for the last two months – my longest hiatus since I started writing this blog two years ago. It had to have been “The Don’s” fault. How could you not joke about my hair? I can’t think of any other reason for it. The last post I wrote was on Independence Day. I don’t recall what it was about but I’m sure it was funny. Either way, the theme of writing about independence was fitting for what followed over the next two months. After working for the same company for approximately 623 1/2 years I decided to declare my independence from them and work in general. I was tired. I was burnt out and, to be honest, I just didn’t want to work anymore. I had a severe case of the Mondays everyday. So I gave my notice, reveled in the fact that I was now officially retired and then promptly accepted another job when I realized that it’s even more exhausting to hide from bill collectors than it is to get a job and just pay them. I blame this on Donald “I’ve worn the same dead cat on my head for 30 years and you wonder why I smell this way?” Trump as well. It was fun I say! Eating. The food in New Orleans lived up to its reputation as some of the best in the country. My wife and I ate. And ate. And ate. A testament to how good the food in New Orleans is the fact that my wife continued to eat at a restaurant despite the fact that the only other customers were cockroaches. Yes Donald Trump was there. People watching. 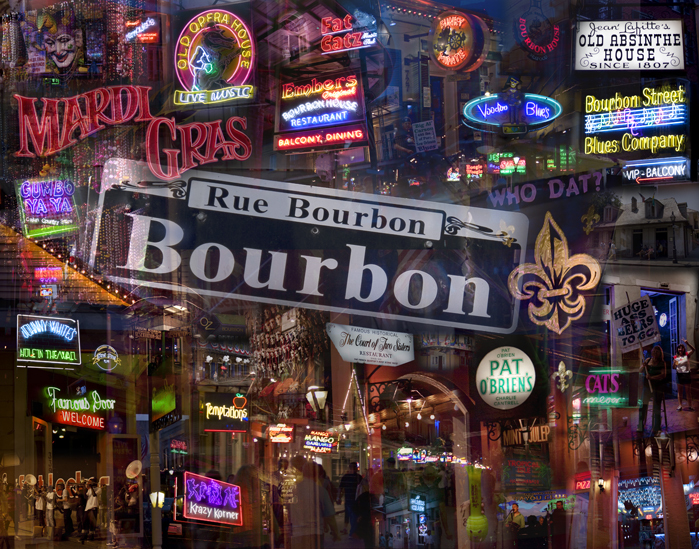 For a portion of our stay in New Orleans we were a 1/2 block away from Bourbon Street which provided an endless array of people to talk to, make fun of and be solicited by for a variety of services. Yes, the Clintons were in town as well. Talking to a crack fiend. Yes former Mayor of the District of Columbia, Marion Barry, was there. Or maybe it was his ghost; the 3 for 1 absinthe drinks made it difficult to tell at that time. All in all, it was a great trip and one that we are sure to remember until next Tuesday. With the vacation over, I officially parted ways with my last company, felt a terror that I hadn’t felt since hearing that George W. Bush was elected president again and started my new job. A month into my new job now I still feel a bit of terror that comes from walking into the unknown, but I’m happy to say that is has lessened nearly as much as Trump’s popularity has. Uhh…My hair looks more like a dead bird than a cat don’t you think? Trump rhymes with rump, Ha! Does a silver spoon taste good? 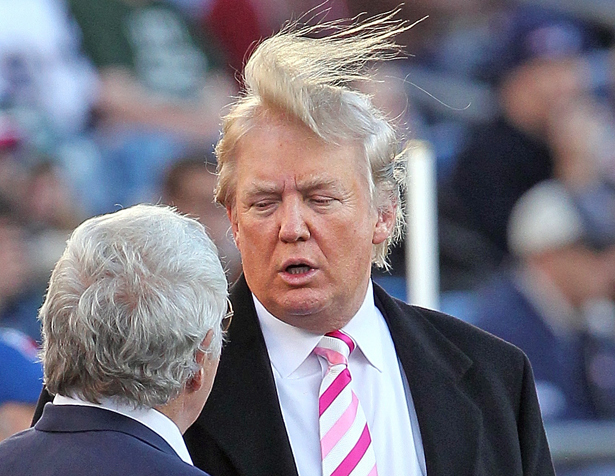 If it flew any further off his head, you’d swear he was the aging singer from Flock of Seagulls. All I can say is, I love you and you are my favorite son!! And I did enjoy the dig about the Clintons! You gotta love politics in America it brings out the worst in everyone!